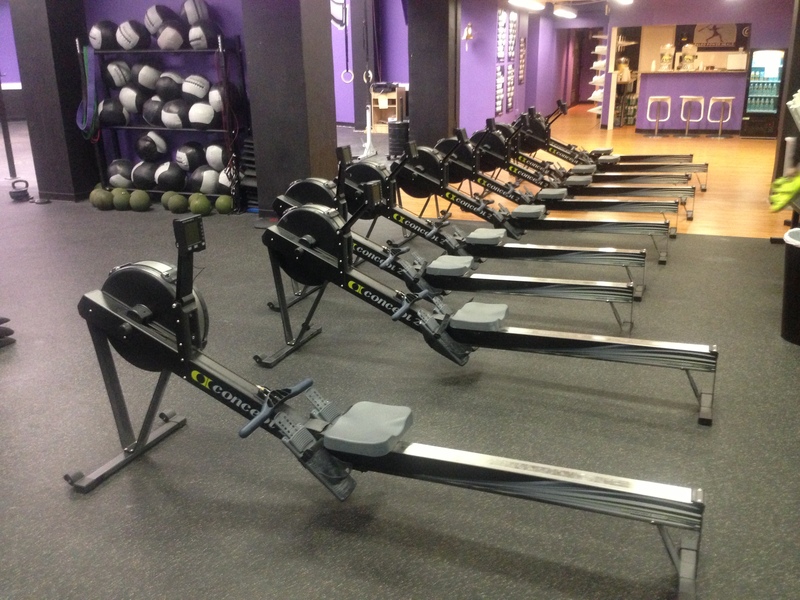 How does your gym setup the ergs during a Rowing WOD? Do they all get thrown in a line? End to End? In a Circle? Does each person get an erg in a predefined grid on the floor like a competition? Does it depend on the workout or class structure? Does it depend on the number of ergs? Does it matter? Would you like to learn the most efficient way to arrange the ergs in your gym during certain Rowing WODs? Would you like to know the best way to arrange them for teaching the stroke to different sized classes? Come to the CrossFit Rowing Trainer Course in Boston from June 8-9. CrossFit Rowing Coach Shane Farmer will be running the course on Saturday at CrossFit Boston Iron and Grit and then everyone will learn to apply their skills on the water at Community Rowing Inc. on Sunday. This entry was posted in Motivation, Our Mission, Rowing and tagged functional movements, new sport, personal experiences, rowing, sports, training by Renegade Rowing. Bookmark the permalink.